Early on I decided that fishing would be my way of looking at the world. First it taught me to look at rivers. Lately it has been teaching me how to look at people, myself included. Fishing should be a ceremony that reaffirms our place in the natural world and helps us resist further estrangement from our origins.
. . . the frontier of angling is no longer either ethical or geographical. The Bible tells us to watch and listen. Something like this suggests what fishing ought to be about: using the ceremony of our sport and passion to arouse greater reverberations within ourselves. You can’t say enough about fishing. Though the sport of kings, it’s just what the deadbeat ordered. 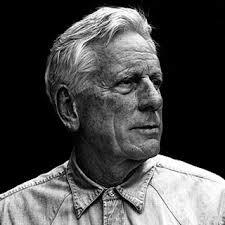 Recently I came across a video of a talk McGuane gave at Montana State University on the MidCurrent website. I want to share my report of it with readers who don’t get the opportunity to watch the video. Hope you enjoy. Does fishing mean anything? 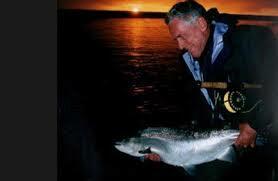 That’s the kind of question to make any self-respecting angler shake in his waders. Even McGuane. The Montana-based author and avid fly fisherman posed the question during his 2016 Trout & Salmonid Lecture at Montana State University Library, which over two decades has assembled an impressive permanent collection dedicated to fishing. Born in Michigan, where his longtime friend, the late Jim Harrison, was also born, McGuane has ranched in Montana for close to half a century. He raised cattle and broke champion cutting horses when he wasn’t fishing with friends (Russell Chatham, Richard Brautigan, Guy de la Valdène and Harrison) and some of the world’s best known fly anglers, or writing novels (The Sporting Club, The Bushwacked Piano, Ninety-two in the Shade, Panama, Nobody’s Angel, Something to be Desired, Keep the Change, Nothing But Blue Skies, The Cadence of Grass, Driving on the Rim), short stories (To Skin a Cat, Gallatin Canyon, Crow Fair), screenplays (Rancho Deluxe, 92 in the Shade, The Missouri Breaks, Tom Horn) or non-fiction (Live Water, Some Horses, Upstream: Fly fishing in the American Northwest, Horses). 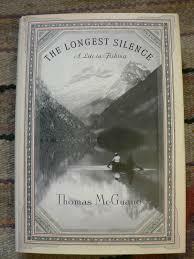 His 1999 fishing memoir The Longest Silence is acknowledged as a contemporary fly angling classic. An Outside Chance, his 1981 collection of sports essays, is equally superb. Compulsively straightening his notes more than reading from them, McGuane meanders like a freestone creek, ranging over personal anecdote and history, humour and philosophy, ecology and friendship while whittling away at the question that gave his talk its theme. He remains casually conversational, but occasionally references another writer or philosopher, including Henry David Thoreau and Roderick Haig-Brown, Jose Ortega y Gasset, Johan Huizinga and E.O. Wilson. He confides that, as the lecture date neared, his wife asked him: Do you know the answer? ‘I pretty much stonewalled her on that one,’ he quips with a smile. It was the first of many laughs he provoked from the audience which included A.K. (Archie) Best, fly tying guru and regular fishing companion of John Gierach, and Sweetgrass bamboo fly rod co-founder Glenn Brackett. He describes fishing as ‘slow, difficult and personal,’ contrary to a YouTube video he once watched where an angler demonstrating a new technique crowed, ‘I’ve already got 15 outta this hole!’ ‘That doesn’t strike me as spiritual,’ he notes dryly. 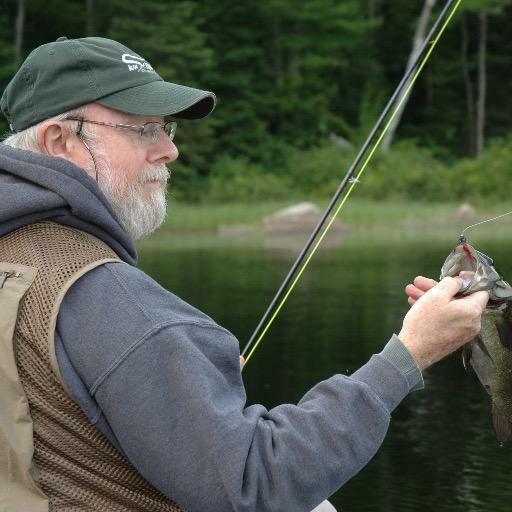 What makes a great fisherman, he continues to ponder? ‘Is it loving [fishing] more? Seeing more into it? Finding more that attaches you to the great themes of life and nature? Developing skills to out-perform others? The consideration of fun leads McGuane to contemplate ‘the well-being of fish.’ Even the practice of catch and release involves ’mortality,’ he observes. In recent years McGuane has become ‘an avid spey caster.’ This elegantly graceful method of two-handed casting ‘passes the time’ between strikes, which can be days apart. He recalls a day steelheading on the Bulkley River in British Columbia, when a couple of young fishermen in hoodies offered him a toke of ‘infamous BC bud.’ When McGuane declined, one of the young men looked at him askance and quipped, ‘How in the world can you fish for steelhead unless you’re stoned? 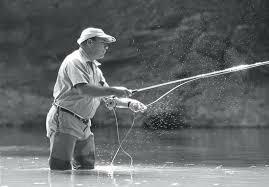 There just aren’t that many bites.’ ‘I was already on the narcissistic high of spey casting,’ he replied. Beginning his talk on a note of uncertainty, McGuane ends on a graceful note of optimism by remembering Sasha, a Russian fishing guide who bears the ‘fragility’ of three tours in the Chechen war: ‘But I’ll be OK, I’m with the river now,’ the guide told his American sport.